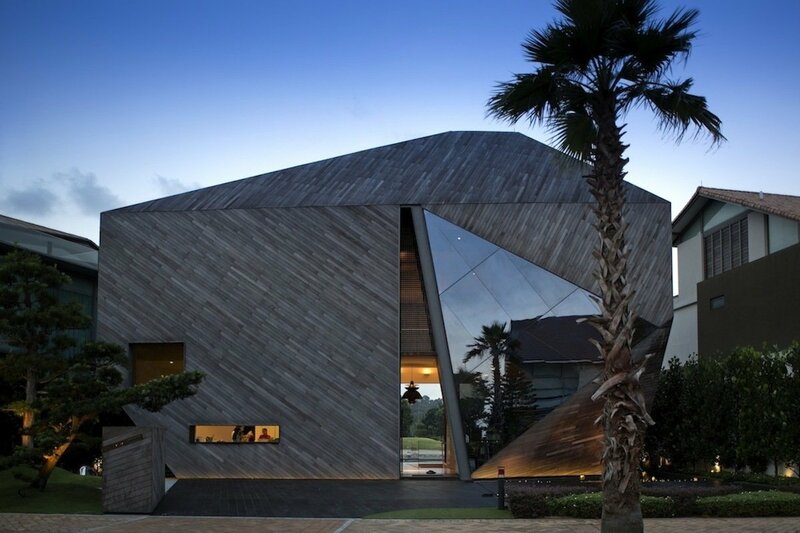 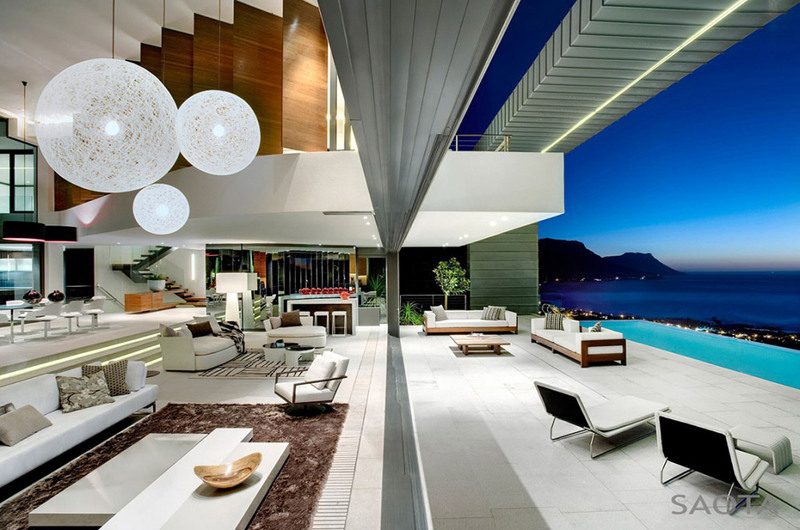 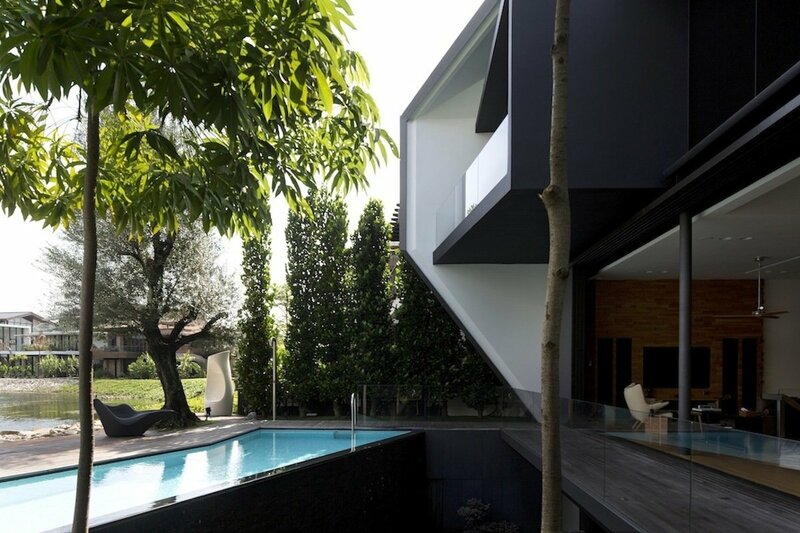 The Diamond House was completed in 2013 by the Singapore based studio Formwerkz Architects. 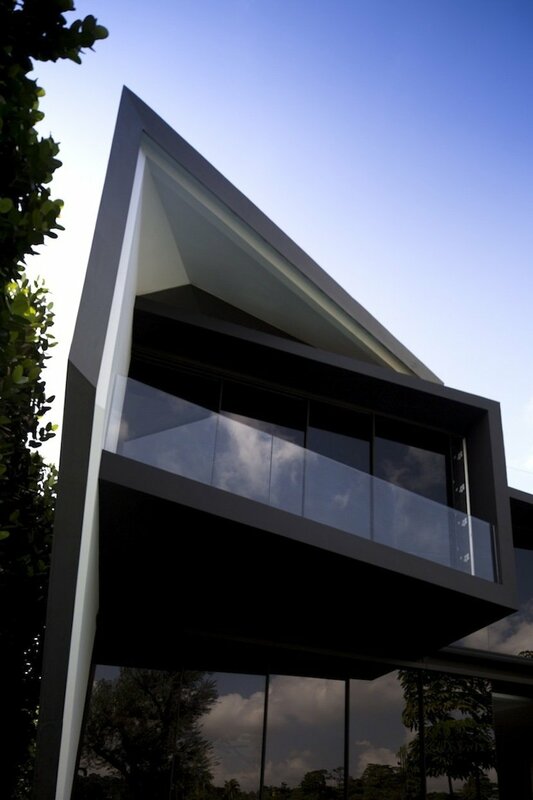 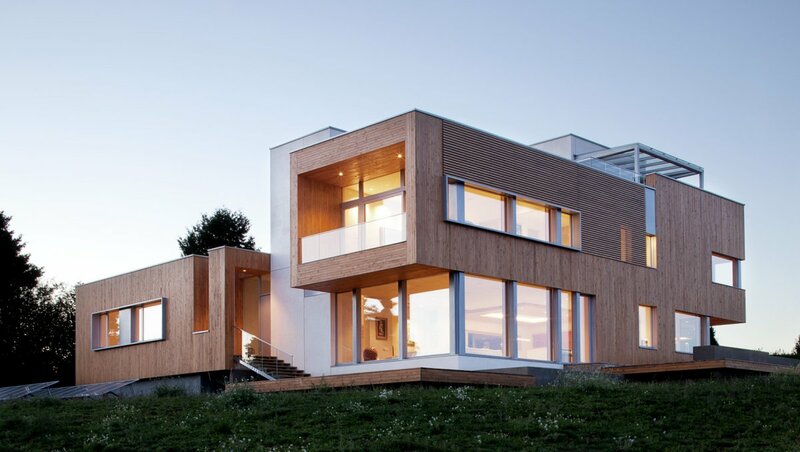 This interesting modern home has been built for a family who enjoy their privacy. 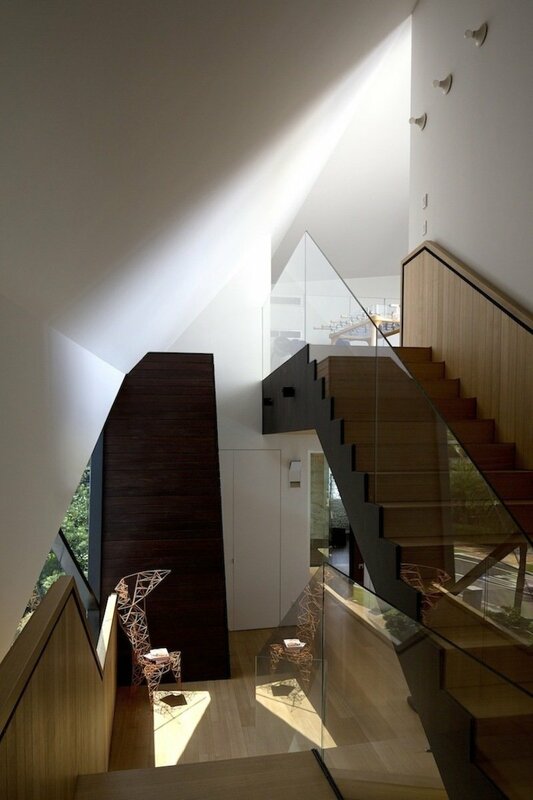 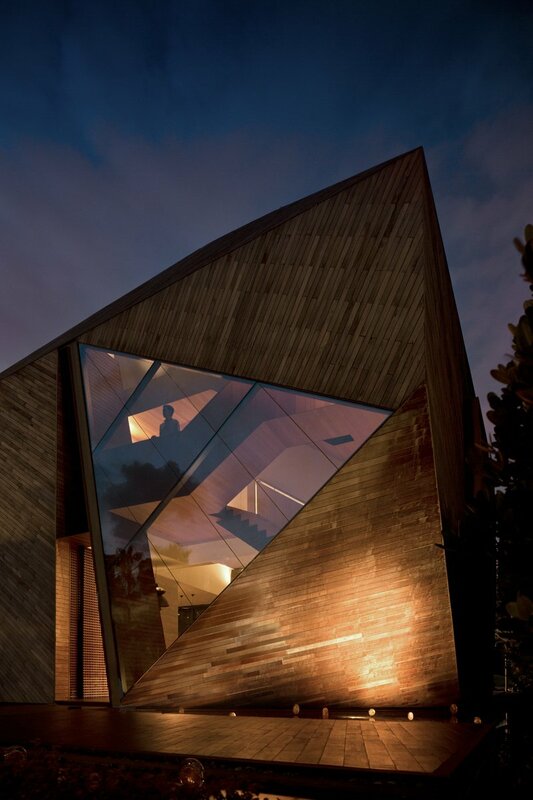 The house is wrapped in wood cladding with a large triangular window next to the entrance. 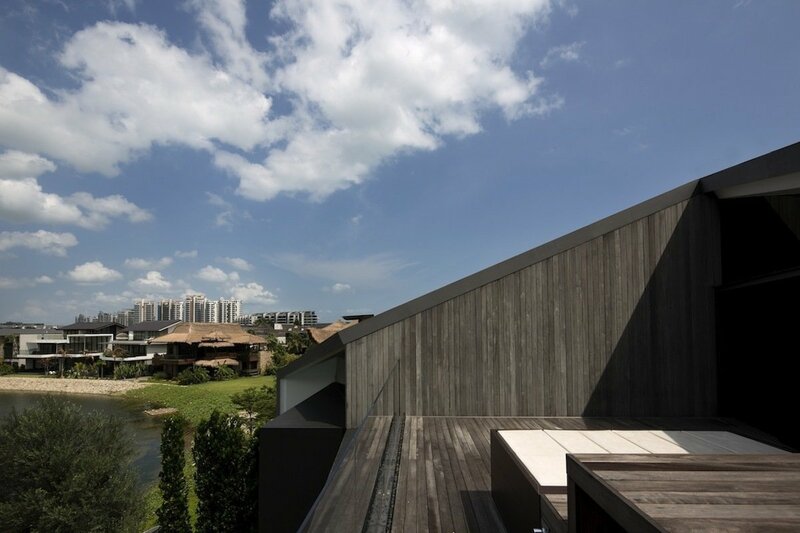 The lake can be seen from the balcony and roof terrace. 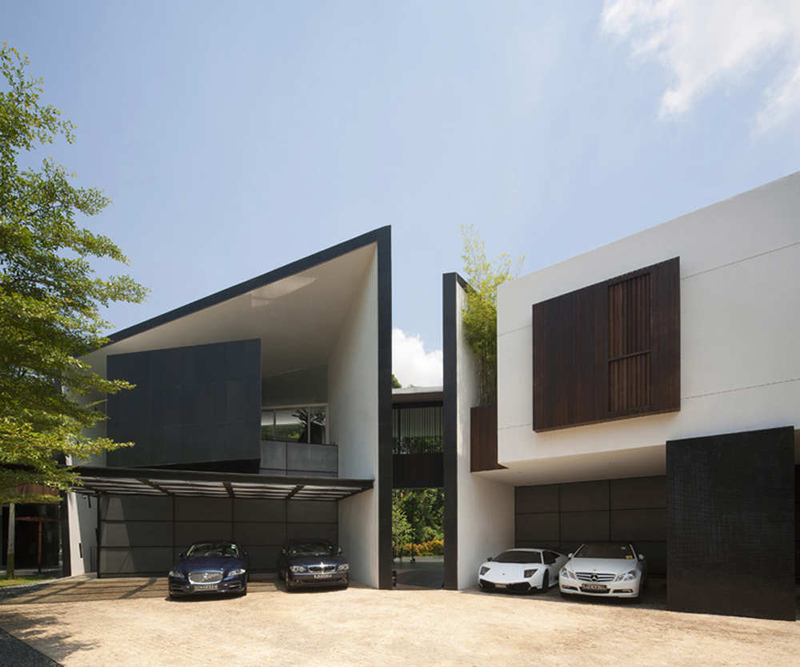 The Diamond House is located in Singapore. 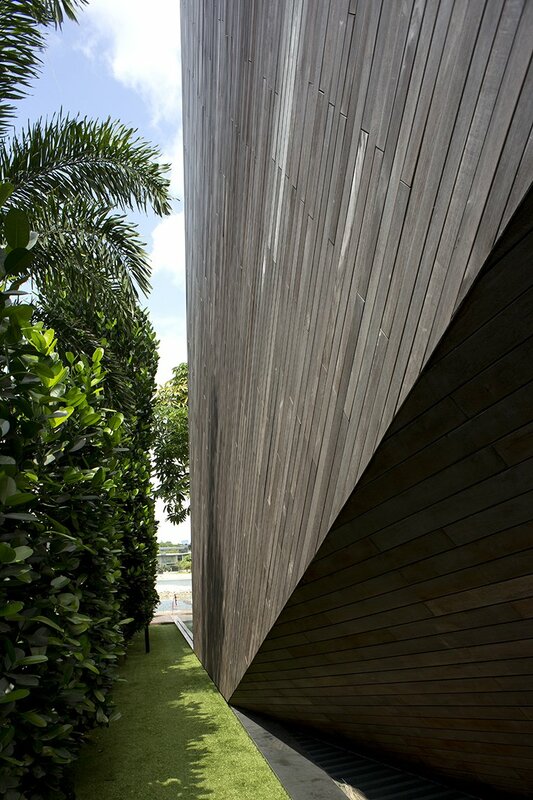 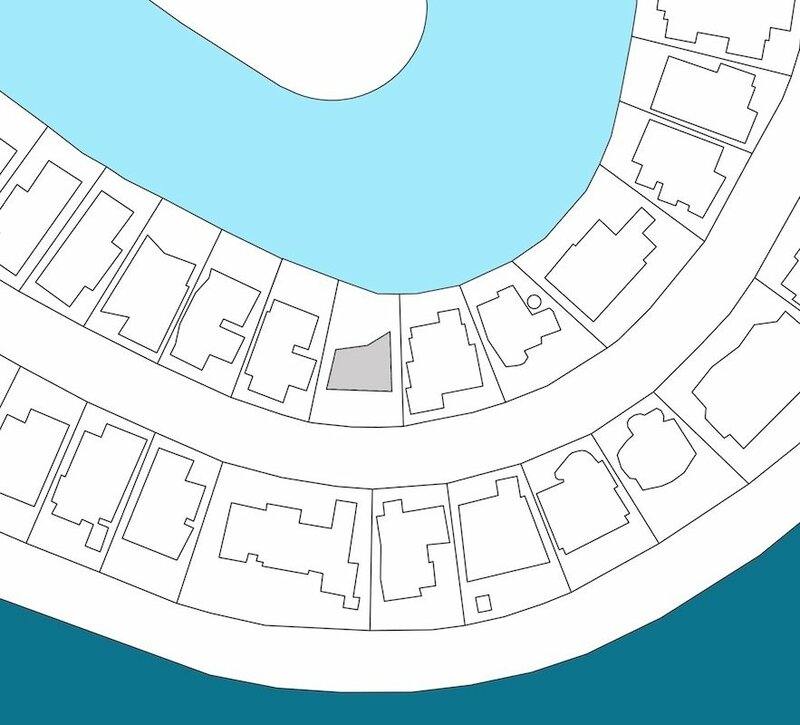 “The house along Cove Drive in Sentosa sits on a slightly tapered site that faced a man-made lake. 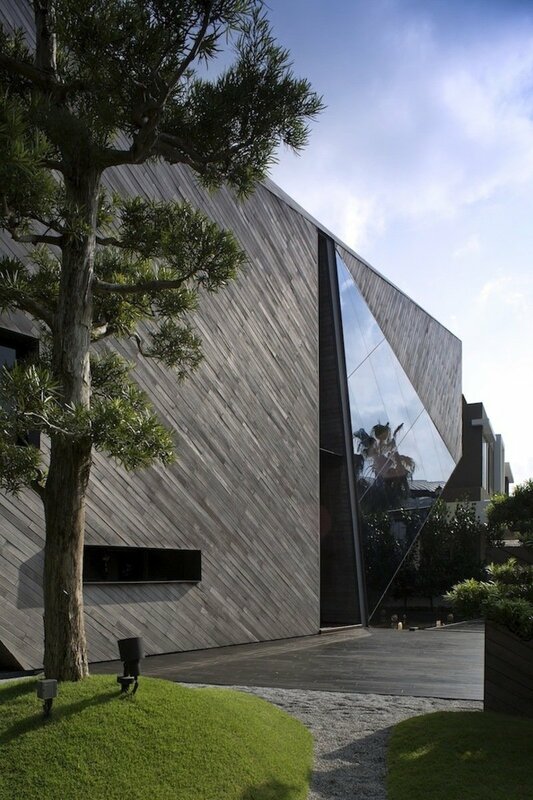 Built for a small family that greatly cherish their privacy, the house turns it back on the street and the sides where the neighbours are in close proximity. 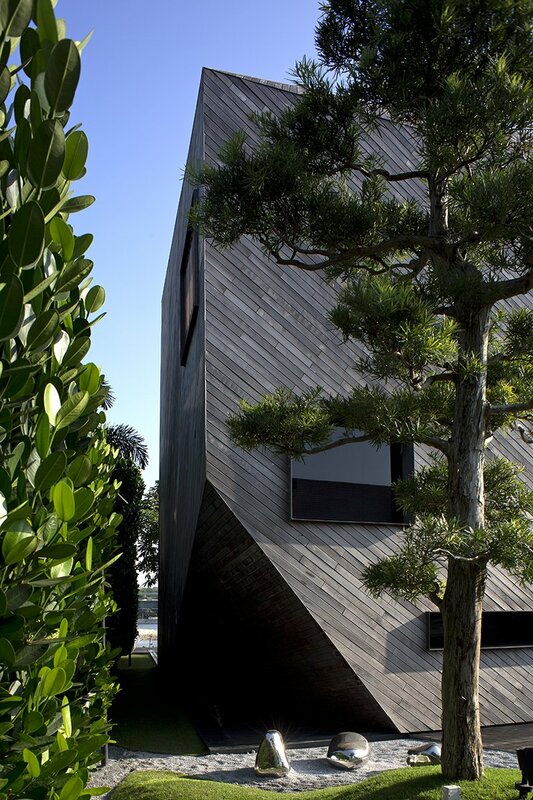 Like a monolith resting over the gardens, the single, faceted volume house the main spaces with their primary view to the waterway. 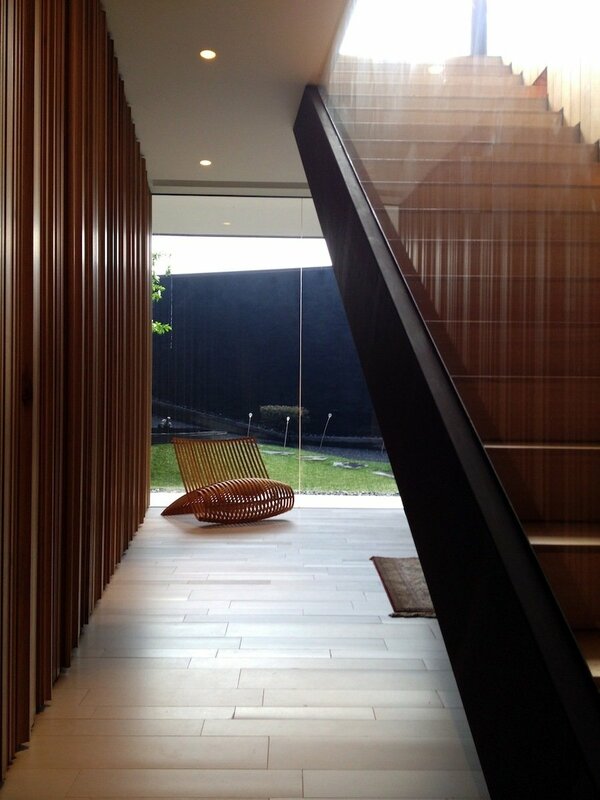 The main entrance brings one into the centre of the house with the living and dining space on the sides. 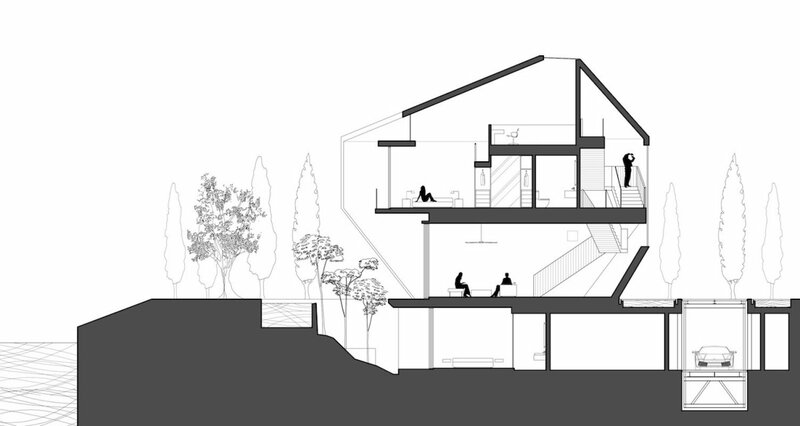 The upper floors are split in the middle into two volumes that house the daughter and the parent’s bedrooms. 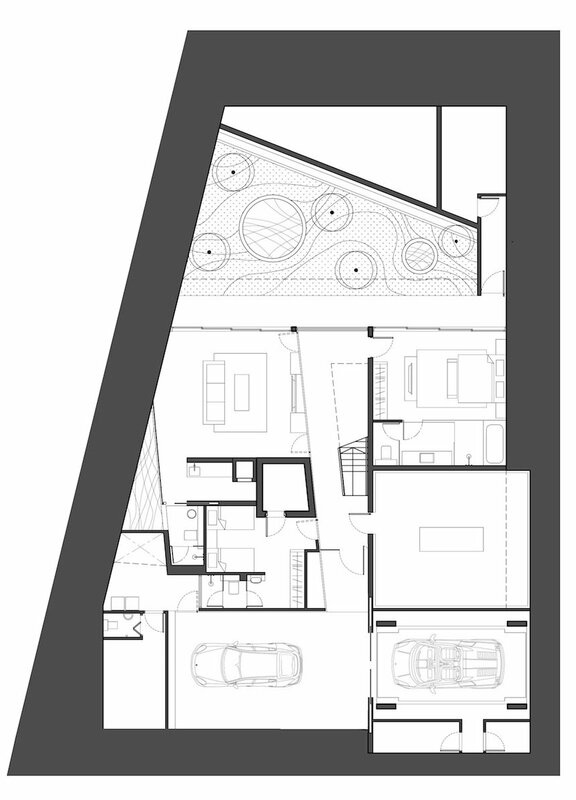 The basement accommodates the guest room, entertainment, services and garage, lit and ventilated largely by the sunken courtyards. 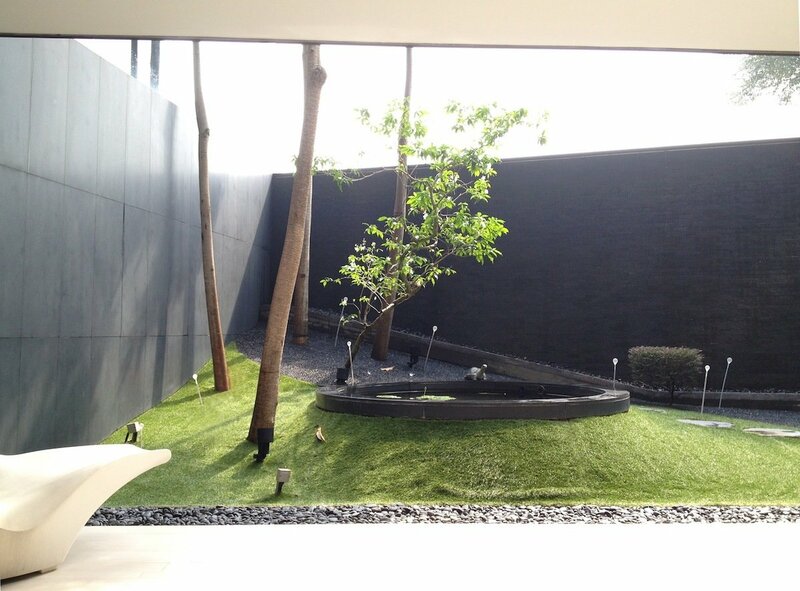 The massing on grade is kept deliberately small to create more garden spaces within the tight site. 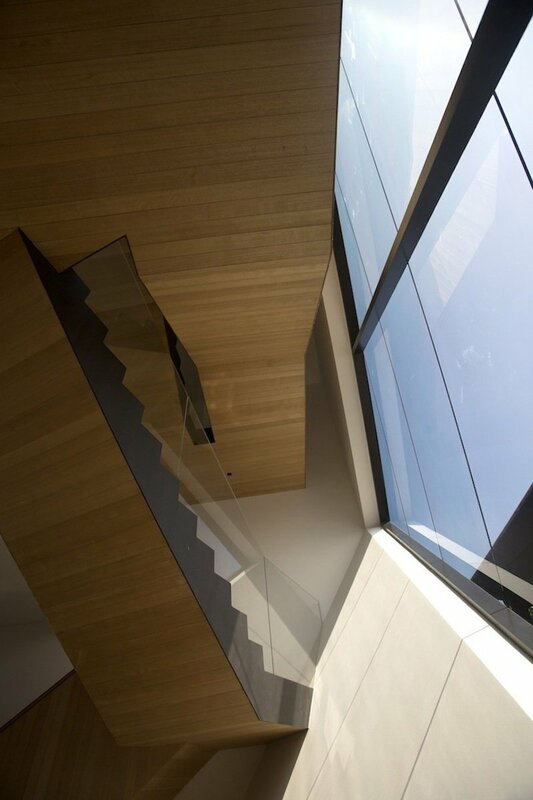 The geometry is derived from negotiating with the planning parameters imposed on the neighbourhood and the desire to simplify the building form. 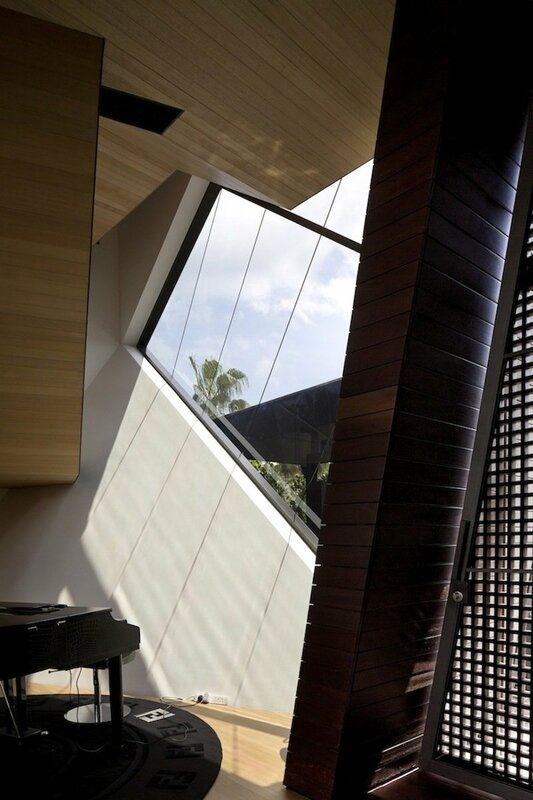 The front and side facades are pared down with openings strategically position to allow optimal day lighting with minimum compromise in privacy. 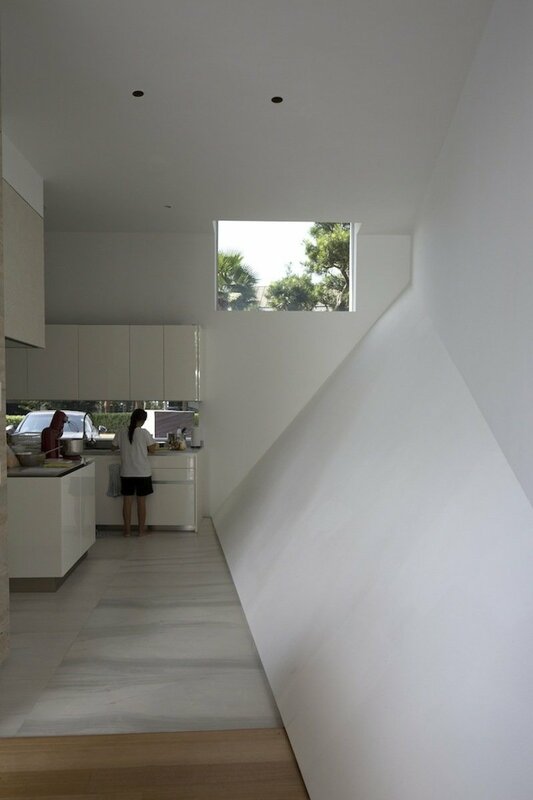 The sloping walls at the corners allow for a smaller footprint while expanding the spatial volume at upper levels.